The Hyundai service center at Sycamore Hyundai is ready to help you with all your Hyundai maintenance and repair needs. From quick Hyundai oil changes to extensive Hyundai body repairs, our dedication to top-tier certified Hyundai service is what makes us different from the rest. 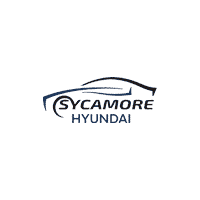 Whether your vehicle requires routine Hyundai maintenance such as a Hyundai battery replacement or brake check, or your vehicle suffered damage from a collision and requires extensive repairs, know that the Sycamore Hyundai service team is ready to help. Schedule Hyundai service online to book a convenient time, or contact us for more information. We’ll get the job done with efficiency and ease at our Hyundai dealership in Sycamore, IL, so you can get back on the road faster.